It is unfortunate to note the 2014 Verizon IndyCar Series is ending so early. After 17 races, the open wheel series season wraps with a final race on a two-mile oval in California. 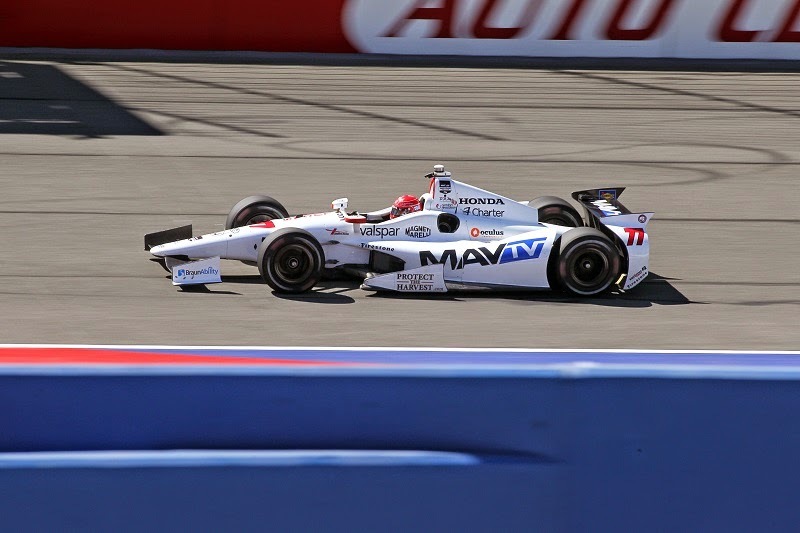 The last chance for a team to score a victory in the 2014 tour, the MAVTV 500 at Auto Club Speedway provide the last stand to claim the drivers’ championship for the Verizon IndyCar Championship. In the best contention for the 2014 crown is a pair of Team Penske drivers who both have a case for being owed a championship. Will Power finished in the runner-up spot in the IndyCar Series championship three times in a row between 2010 and 2012. In second heading into California is Brazil’s Helio Castroneves. 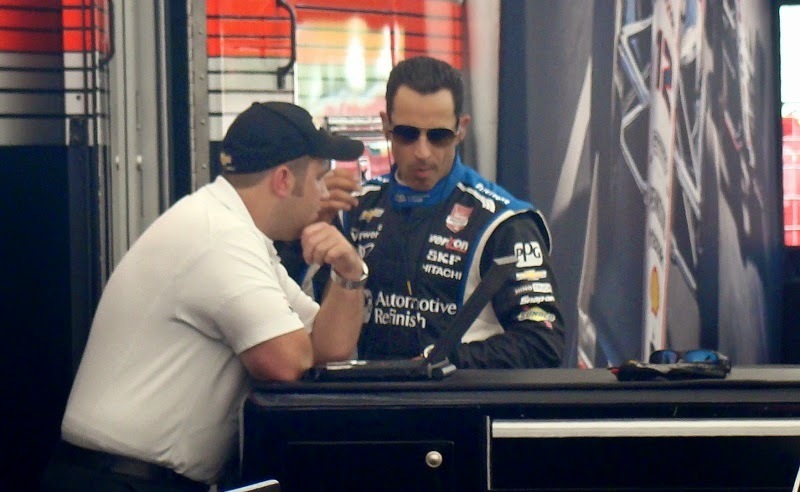 Having won the Indianapolis 500 three times, Castroneves has never won a championship in a major American open wheel racing series. Finishing second in the 1997 Indy Lights Series to Tony Kanaan, 13 full seasons in the IndyCar Series have seen him end the season in second three times. Both Power and Castoneves would like to put a cherry on top of career sundae with a Verizon IndyCar championship trophy. Operating on a double point system with the MAVTV 500 being part of the 2014 IndyCar Triple Crown, the race opens an otherwise sealed championship providing contenders a chance to unseat Will Power (or Power a chance to unseat himself). Mathematically, the championship is still a four-driver fight prior to the green flag dropping. However, 2012 IndyCar Series champion Ryan Hunter-Reay will be eliminated from contention at the start of the race. 92 points back from Power ahead of the 500-mile race at Auto Club Speedway, 22 cars starting the MAVTV 500 will result in a minimum of 16 points being scored. 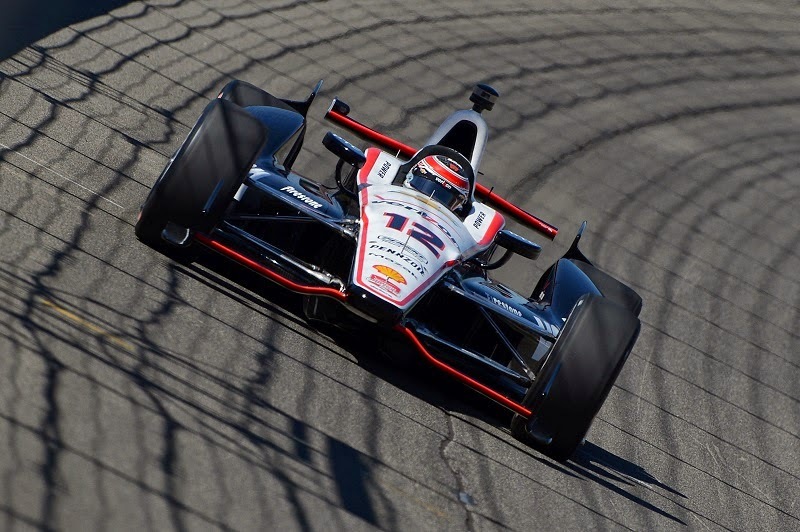 With only Will Power, Helio Castroneves and Simon Pagenaud in contention for the 2014 championship, 200 laps around the fast Auto Club Speedway in California is a rare occasion to see a three-way title fight at the IndyCar finale. Heading into to the final race of the season, Power held a 51-point lead over his Team Penske teammate. An outside shot for the 2014 championship, Simon Pagenaud driving for Schmidt Peterson Motorsports is 81 points from the lead. In qualifying for Saturday night’s race, Helio Castroneves captured an important point by taking the pole position for the MAVTV 500. The gain draws the Brazilian to 50 points of teammate Will Power. With a 50-point lead, Will Power only needs to gather 53 additional points in the 2014 Verizon IndyCar Series to guarantee a championship. With the 52 points gained with the seventh place run, leading a lap will grant Power the one additional point solidifying the championship for the Australian. Even if the #3 car wins the race and leads the most laps, Castroneves can only add 103 points. This scenario will end in a points tie between the Team Penske entrants. With three wins to a potential two, Will Power would prevail for 2014. In 500-mile races this season, Helio Castroneves holds the best average finish with runner-up spots at Indianapolis as well as Pocono. Will Power’s finishing average in the same two races for 2014 was ninth. This scenario has a close statistical possibility. 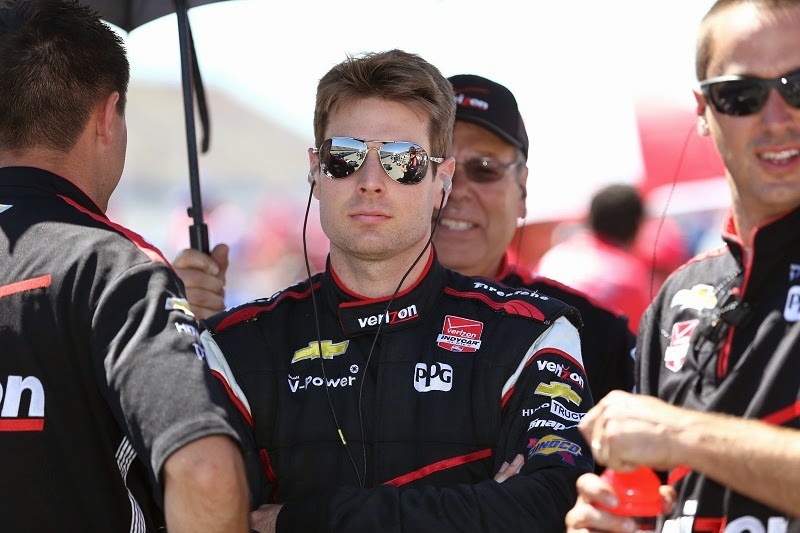 Since the minimum amount of points available within the 22-car for the MAVTV 500 is 16, Will Power will end the 2014 season with a points total of at least 642 points. Castroneves would need to gain more than 66 points in the race to steal the title from Power. In this scenario, the Castroneves came take the championship mathematically by finishing in the top three spots without leading a lap. However, Helio Castroneves could also be crowned 2014 Verizon IndyCar champion if he finishes fourth withstanding he will gain three additional points leading the most laps at Auto Club Speedway at the end of 500 miles. Even if Power finishes 22nd, the Simon Pagenaud would have to take victory at Auto Club Speedway in the #77 car in order to take the 2014 championship with misfortune required for Will Power. 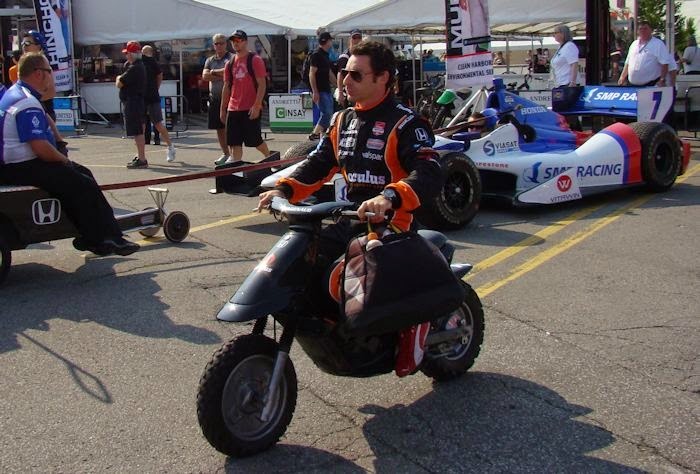 Power would need to finish in the bottom two positions of the race for Pagenaud‘s championship dreams to be realized. Currently 31 points behind Helio Castroneves, Simon Pagenaud would need the second Team Penske title contender to place fourth or lower in the final results. Unfortunately for Pagenaud, his already long-shot hopes for the 2014 title is not helped by so-so runs in the previous two 500-mile oval races this season. Please Note: The points would account for the unlikelihood Helio Castroneves will not lead a lap while starting on the pole for Saturday night’s MAVTV 500. Of course, these three championship scenarios would not matter if Will Power would be positioned ahead of both Helio Castroneves and Simon Pagenaud at the end of the race. While Power won last year’s MAVTV 500 at Auto Club Speedway, earning a 21st place starting spot in Friday’s qualifying could mean the points will at least be closer following Saturday night’s race on the two-mile speedway.